Metallic corrosion is a costly issue that adversely impacts several industries. The economic effect of corrosion is the loss of billions of dollars that U.S. companies are saddled with every year. For some companies and industries, using cheaper materials and replacing corroded equipment is an option. For others, corrosion isn’t just annoying, – it’s non-negotiable. The pharmaceutical manufacturing industry is one where corrosion can derail an entire operation. That’s why companies trust Sharpsville Container Corporation (SCC) to deliver corrosion-resistant stainless steel vessels that will stand up against the harshest conditions. Corroding equipment can delay operation, require costly repairs, and even contaminate the product it contains. We understand the unique challenges that face the pharmaceutical industry and have the experience required to manufacture well-constructed products that will meet these conditions. Contaminated batches are not an option. With our product line of corrosion-resistant material, you can protect yourself against that from happening. Our expertly engineered products are structurally designed to handle the environment they’ll be placed in. SCC is trusted to provide the pharmaceutical industry with sanitary, bio-pharmaceutical vessels, mixers, reactors, fermenters, and more. We are often asked to utilize our knowledge of the pharmaceutical industry in the products we provide. With our in-house engineering and design team’s experience, we can deliver custom-engineered corrosion-resistant tanks that offer solutions to your unique processing and storage needs, like requiring a set of biostorage vessels that can handle temperatures of 120 to negative 70 degrees Celsius. Before constructing and inspecting your custom-designed vessels at our 100,000-square-foot facility, we meet with you in person. We’ll talk about potential solutions and learn more about what you want in your fleet of corrosion-resistant, stainless-steel vessels, as well as the parameters of your facility’s environment. 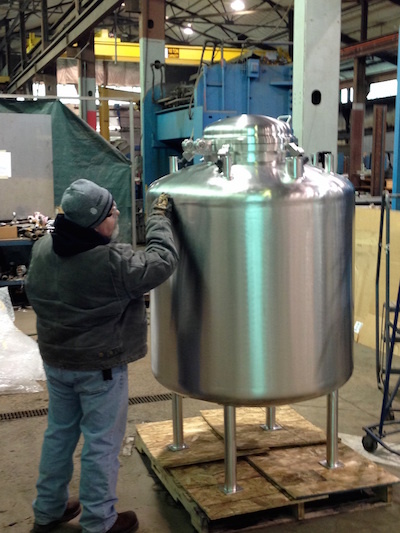 Whether your building’s environment demands electropolished stainless-steel tanks in compact sizes or large ones that can hold up to 25,000 gallons, we can manufacture it. Our experience with the pharmaceutical industry has helped us develop the necessary experience to provide 10-15 RA (Roughness Average) stainless steel tanks with options like electropolishing, passivation, custom sizing and more. Our dedicated design team understands the need for for a clean environment and is adept at installing sanitary fittings, flush mount ball valves, work in place (WIP) and clean in place (CIP) systems. 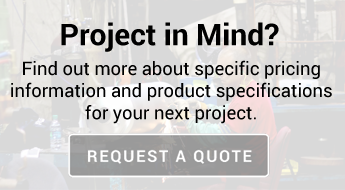 Between our standard options and custom-design ability, we are confident that we can deliver the solution you need for your unique set of working conditions. If you’d like more information or have any questions about our standard or custom-engineered and corrosion-resistant vessels, please contact us, request a quote, or give us a call at 724-962-1100.